Food And Home Hacks For Creative Moms! It’s Sunday-Funday! Today’s the day we bring you new food and home hacks to make your cooking and DIY projects that much easier. 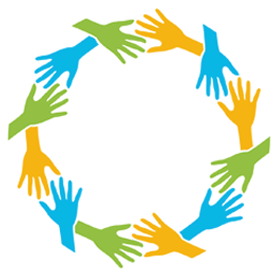 We know you’re busy, that’s why we’re always on the lookout for ways to get things done more efficiently. Work smarter, not harder is a mantra we take seriously. 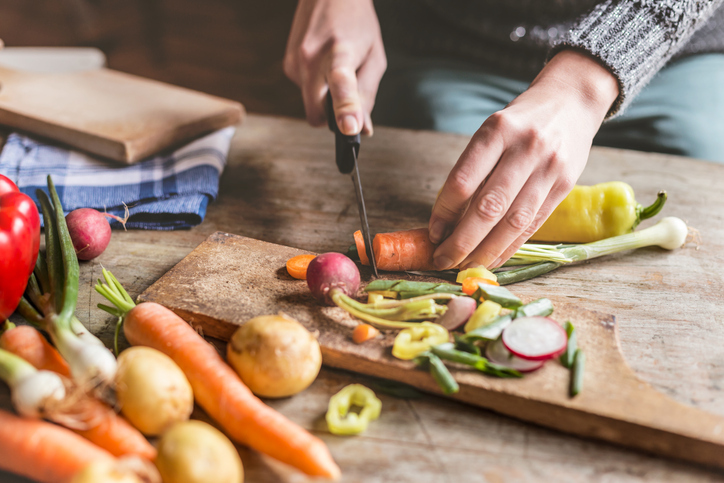 Whether you’re looking for kitchen hacks, cooking tips, easy craft or DIY home projects, we’ve got you covered! 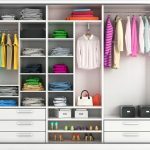 Every day we share useful life hacks and tips on the topics that matter most to you: fitness and health hacks, tech and study hacks, parenting hacks, cleaning and organization hacks, beauty and self care ideas, travel and money saving hacks. 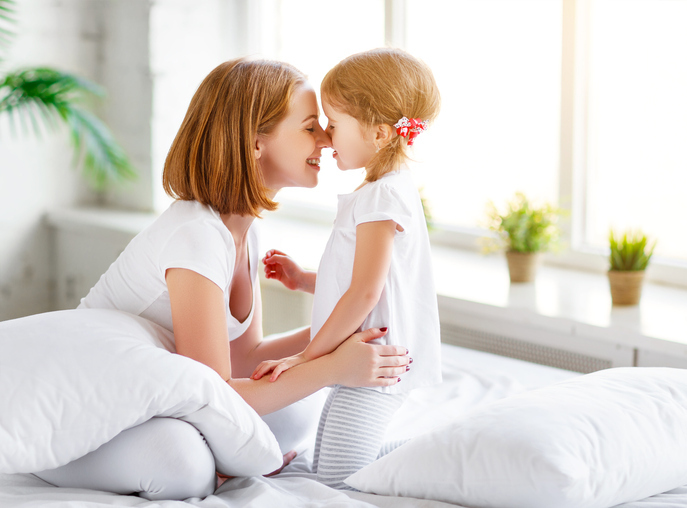 Visit us DAILY for a dose of inspiration to simplify your family life! #301 – Trying to find the studs in your wall? 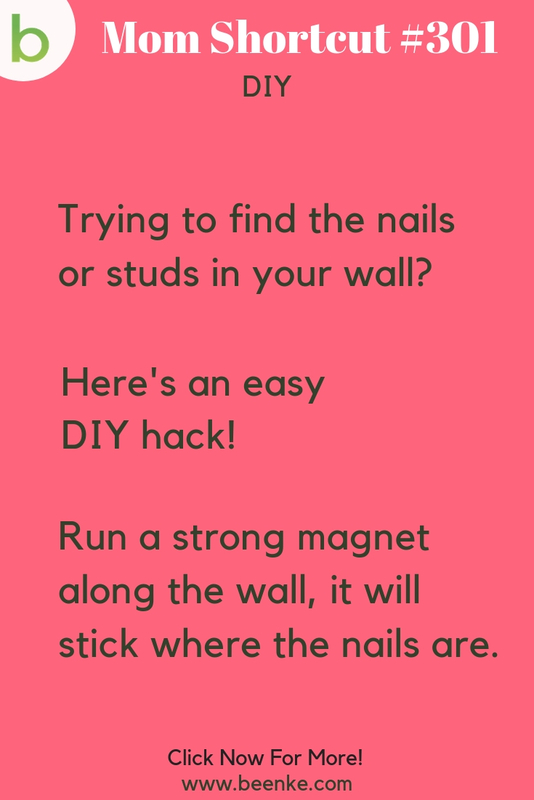 Try this little DIY home hack! #259 – Outdoor home hacks: Ready to BBQ? 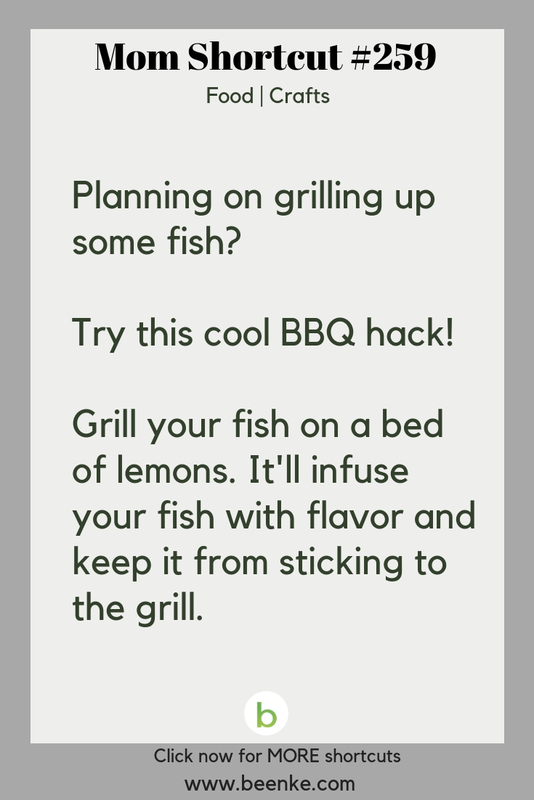 Try this clever fish grilling hack! 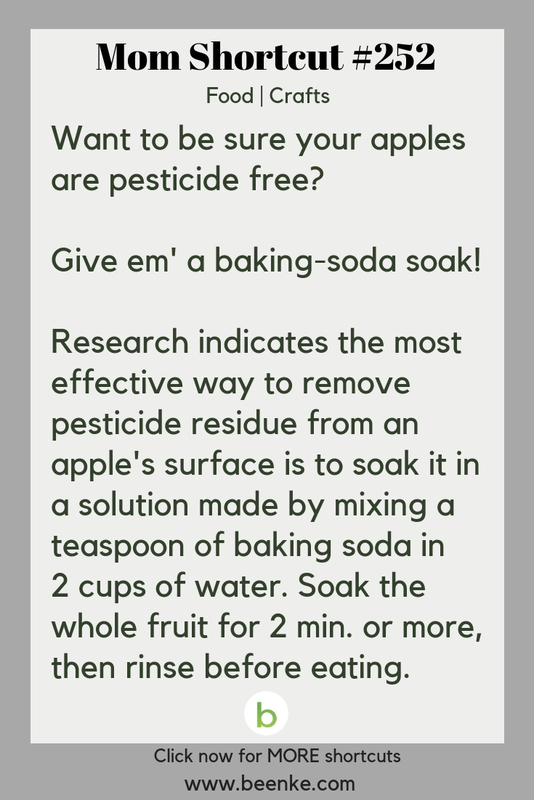 #252 – The most effective way to remove pesticide residue from fruit! 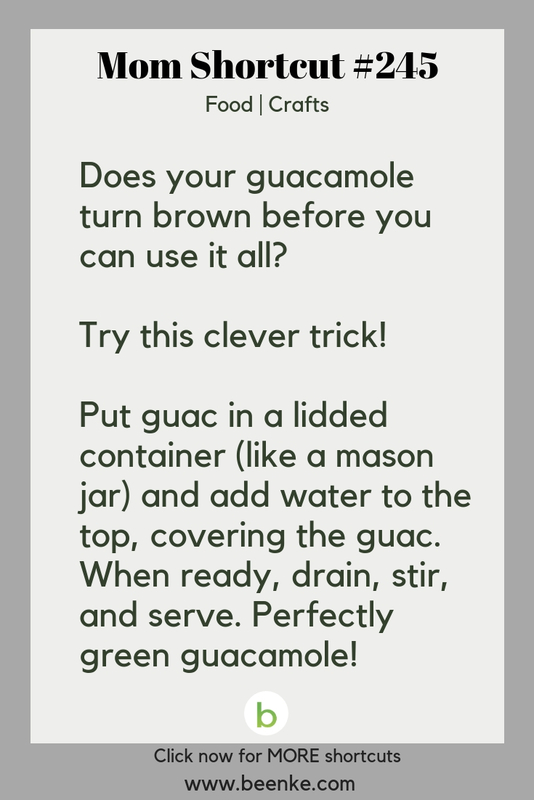 #245 – Keep your guacamole from turning brown with this little trick! 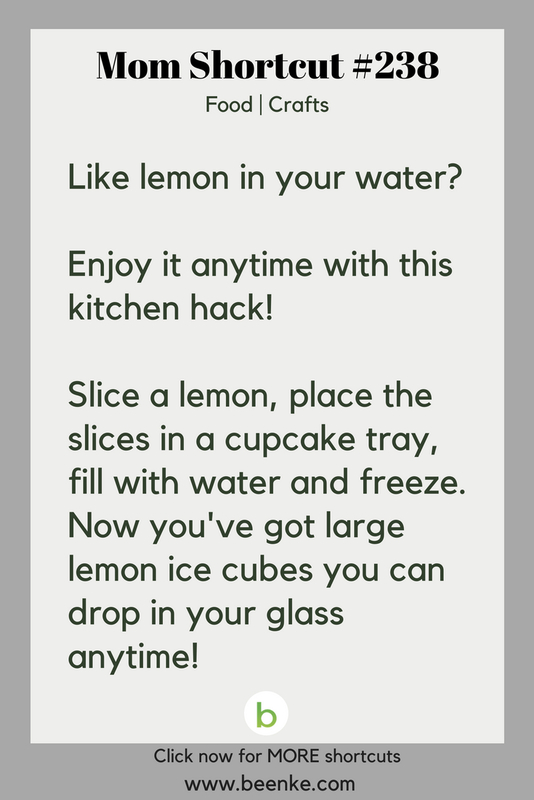 #238 – Enjoy lemon water anytime with this easy food hack! 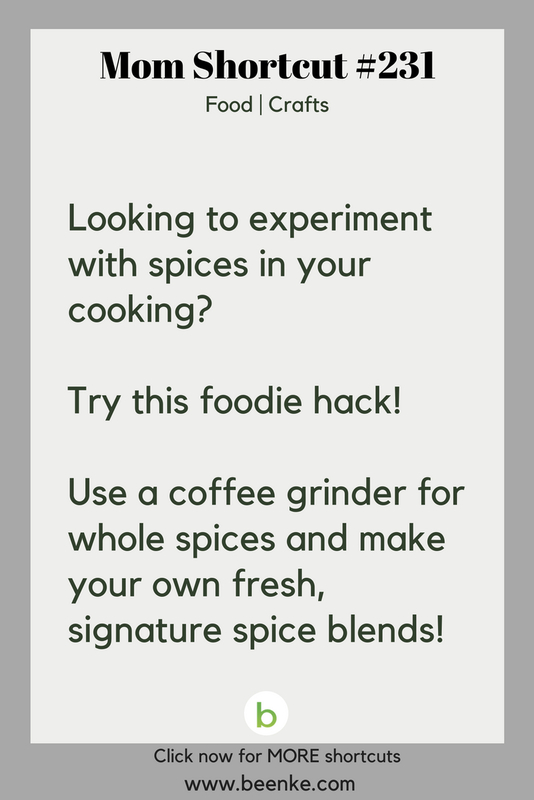 #231 – Use a coffee grinder to make your own unique spice blends! 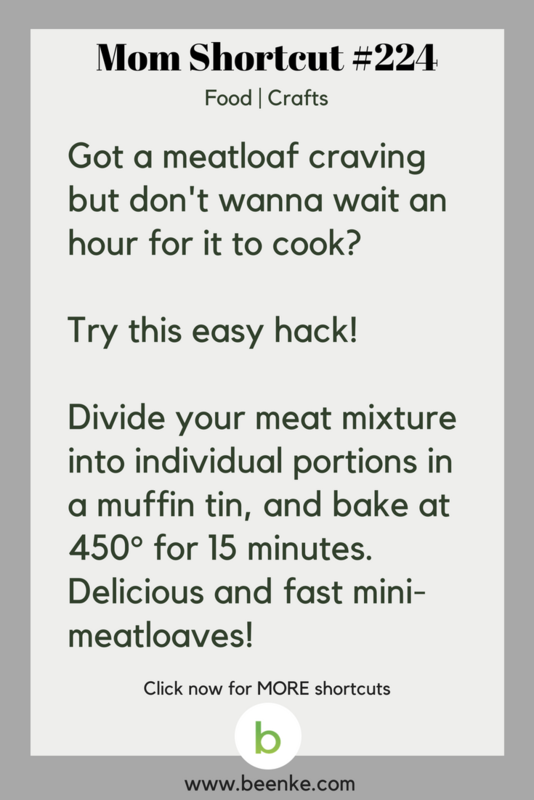 #224 – Satisfy a meatloaf craving fast with this easy food hack! 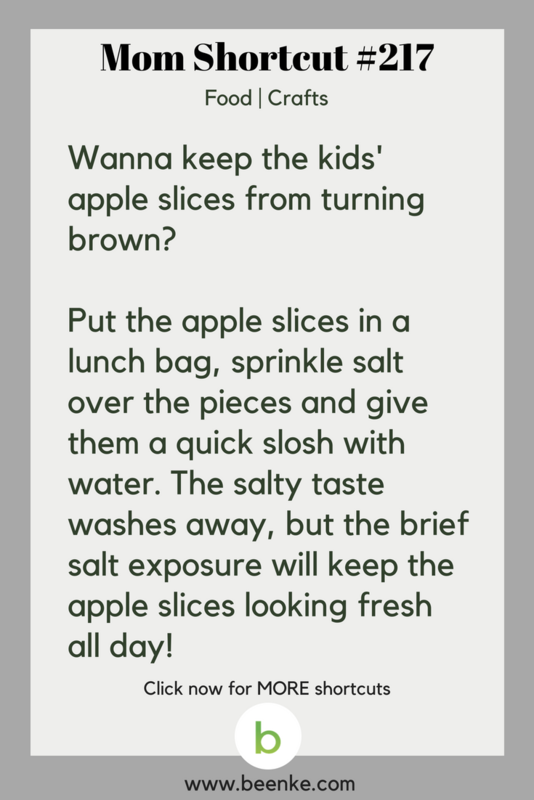 #217 – No more brown apple slices come lunch-time with this hack! 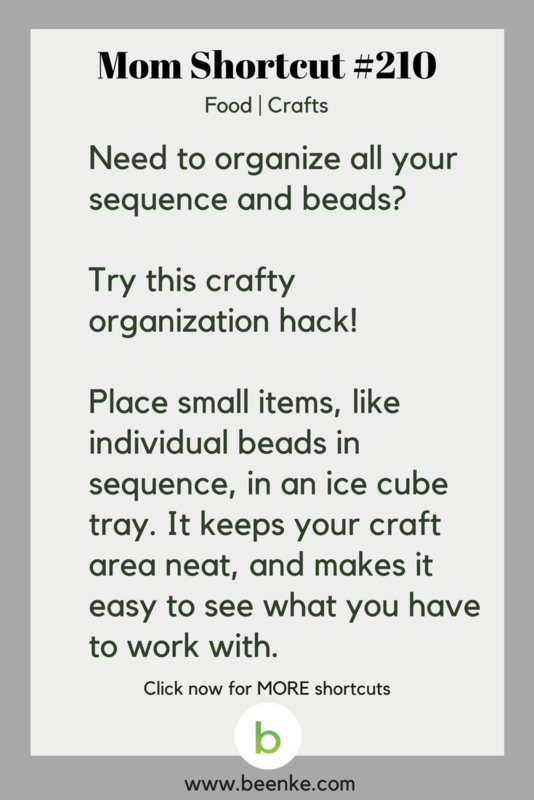 #210 – Favorite home hacks: Get organized with this crafty hack! 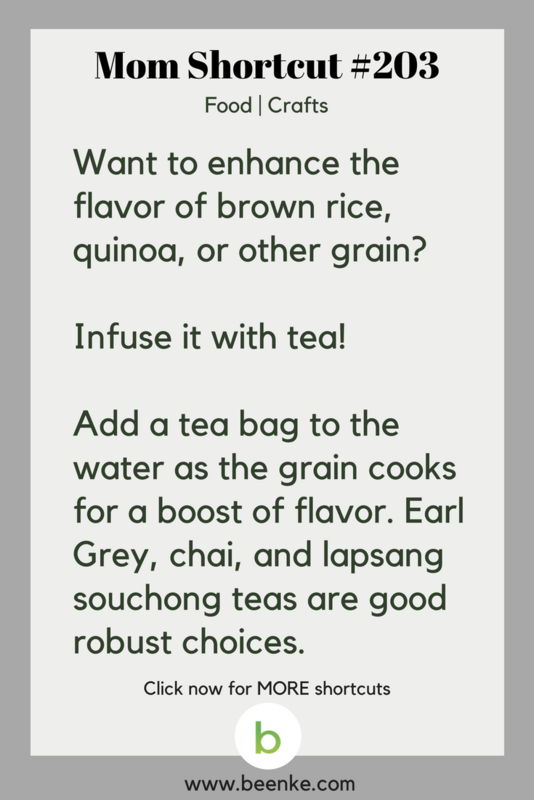 #203 – Try this tea-infusion hack to boost the flavor of your favorite grains! 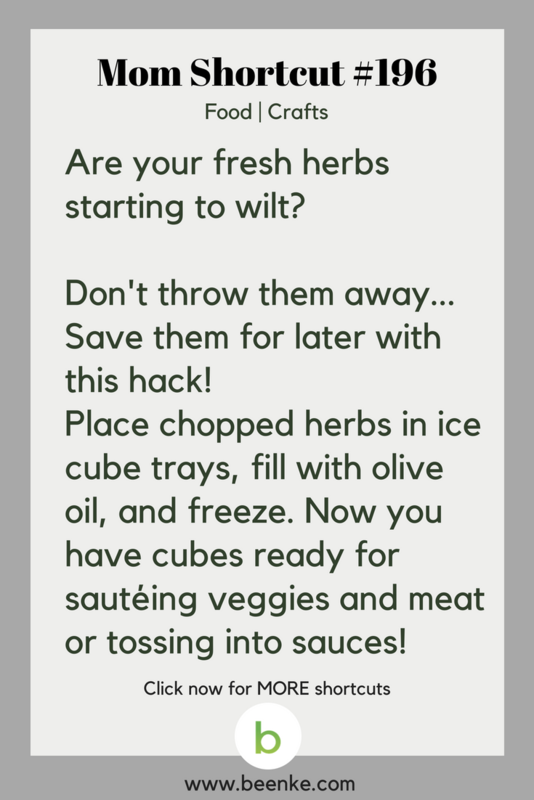 #196 – Don’t throw away fresh herbs…use this hack instead! 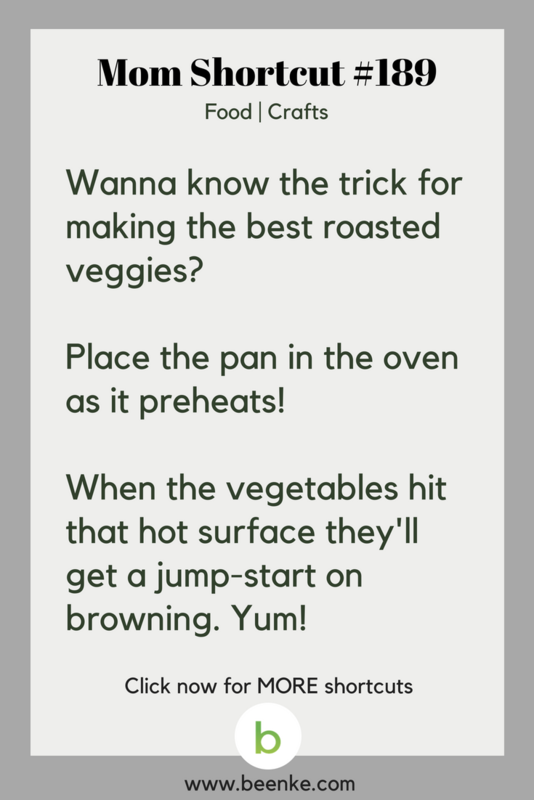 #189 – Wanna know how to make the best roasted veggies? Use this little trick! 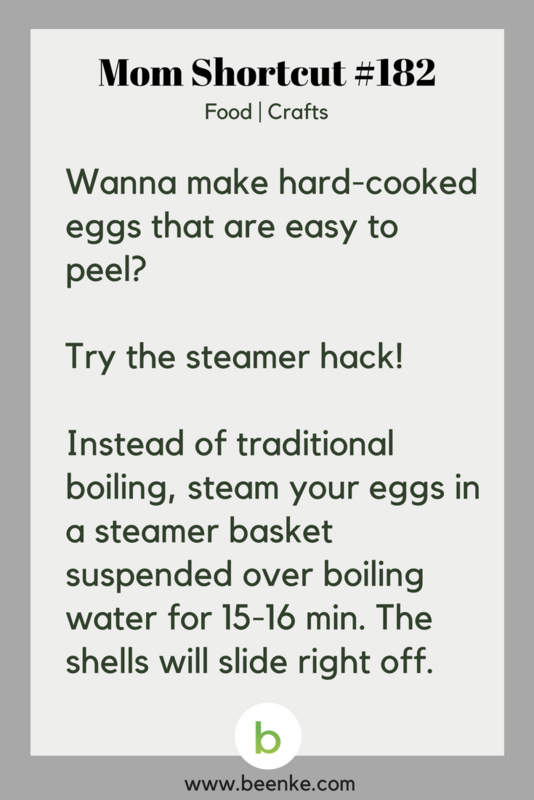 #175 – The trick for making easy to peel hard-cooked eggs! 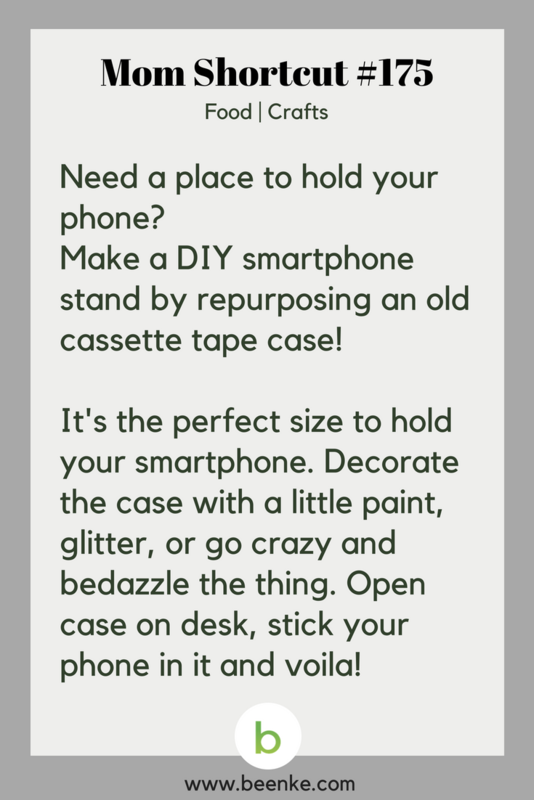 #175 – make your own smartphone stand with one of our DIY hacks! 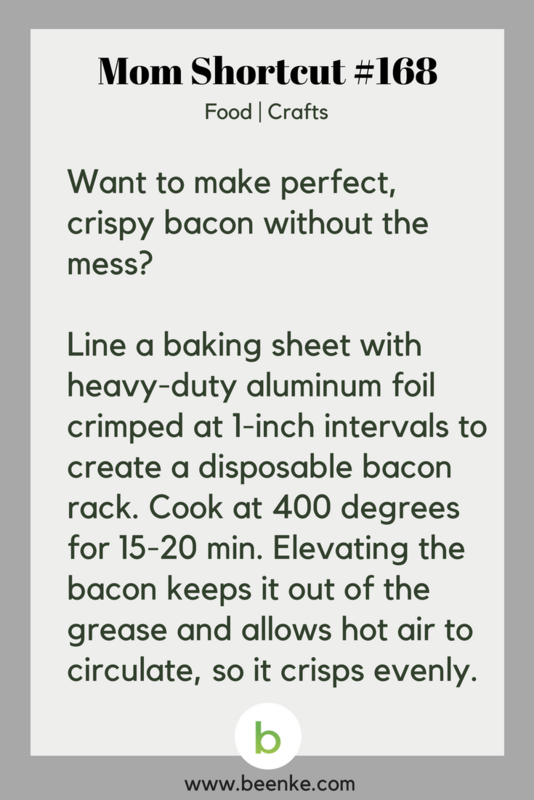 #168 – The trick to making perfect crispy bacon without a greasy mess. 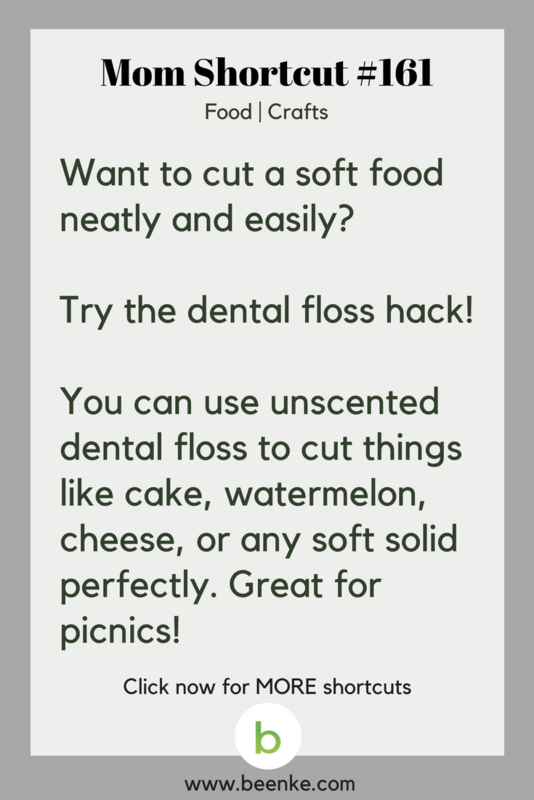 #161 – A surprising dental floss kitchen hack! 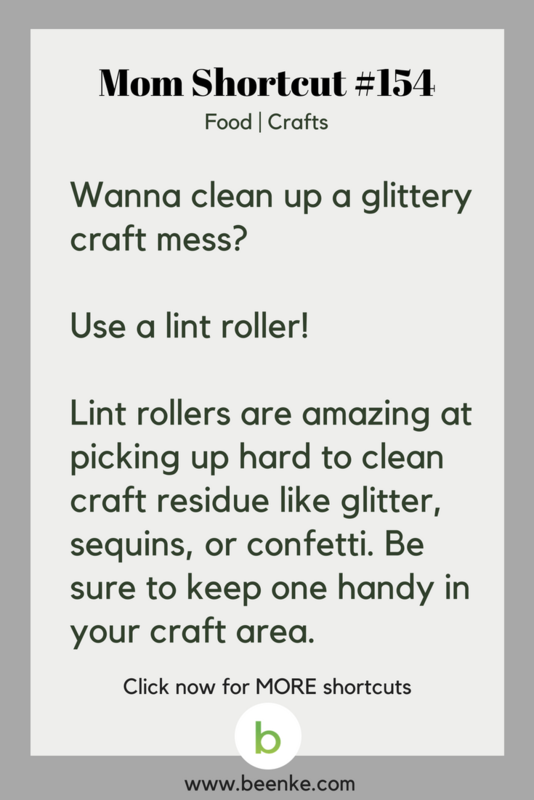 #154 – DIY home hacks: Clean up a glittery mess easy with this cleaning trick! 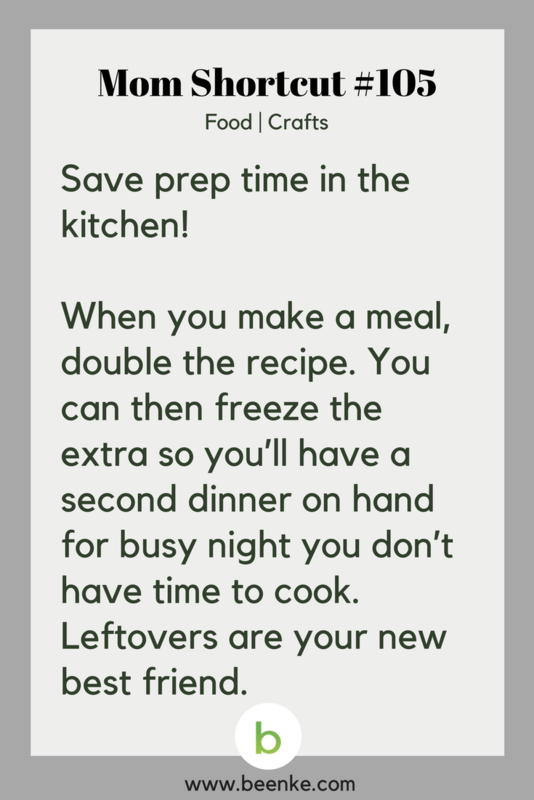 #147 – For those nights when cooking at home just ain’t gonna happen…be ready to eat out at a moment’s notice! 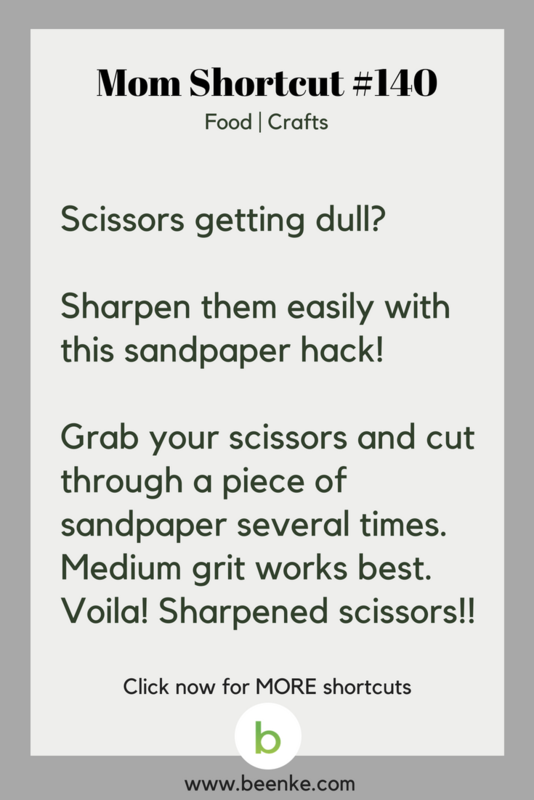 #140 – Cool home hacks: Try our easy scissor sharpening trick…sandpaper! 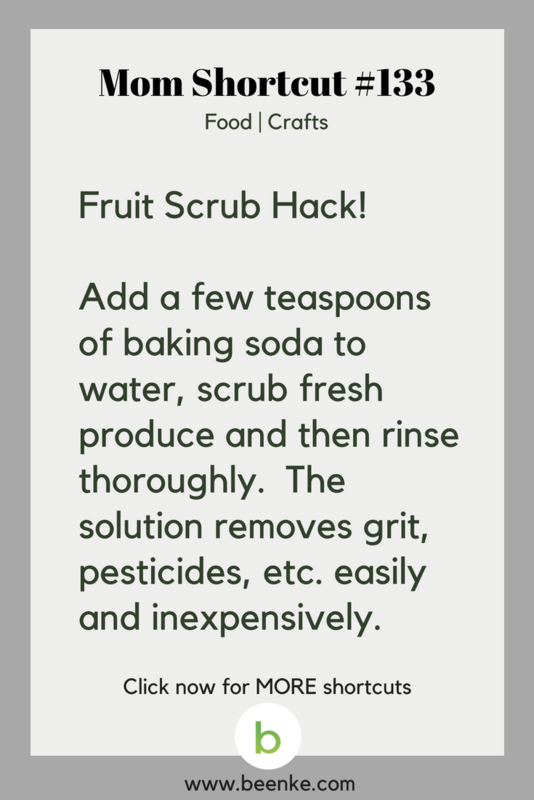 #133 – Kitchen hacks: Easy homemade fruit scrub! 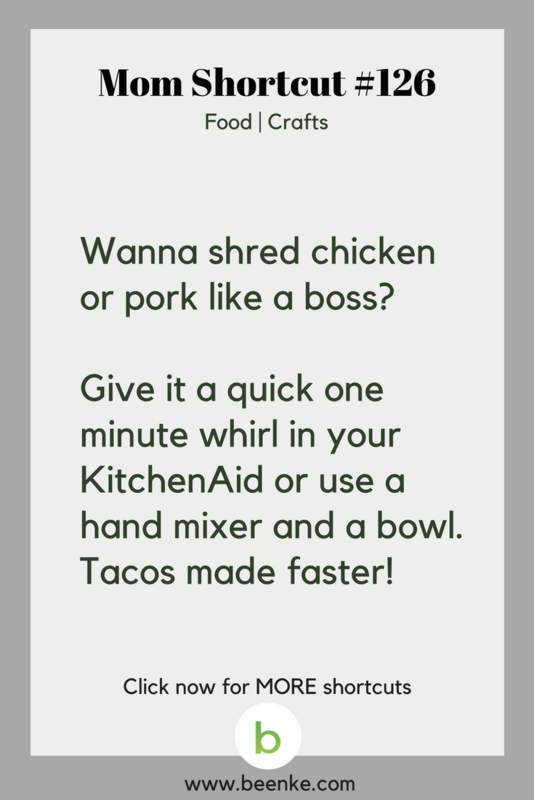 #126 – Shred chicken or pork in no time! #119 – Wondering what to cook for dinner? Problem solved! 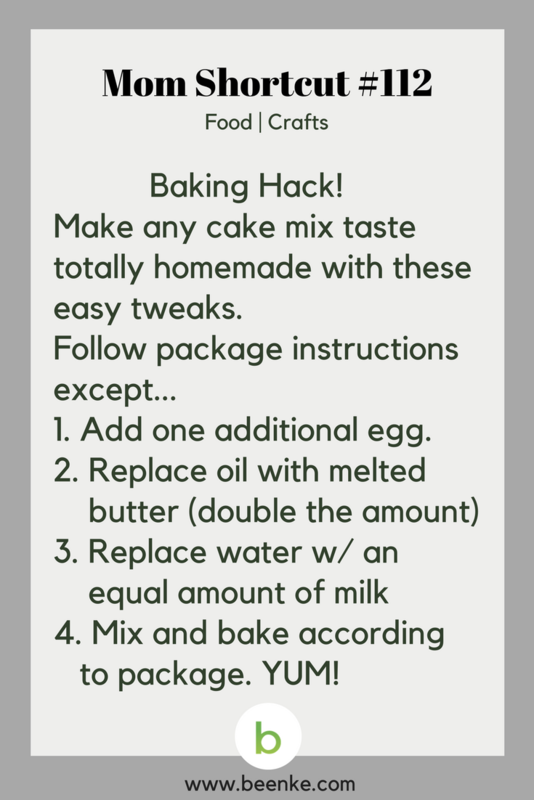 #112 – They’ll think its straight from the bakery with this cake mix hack! 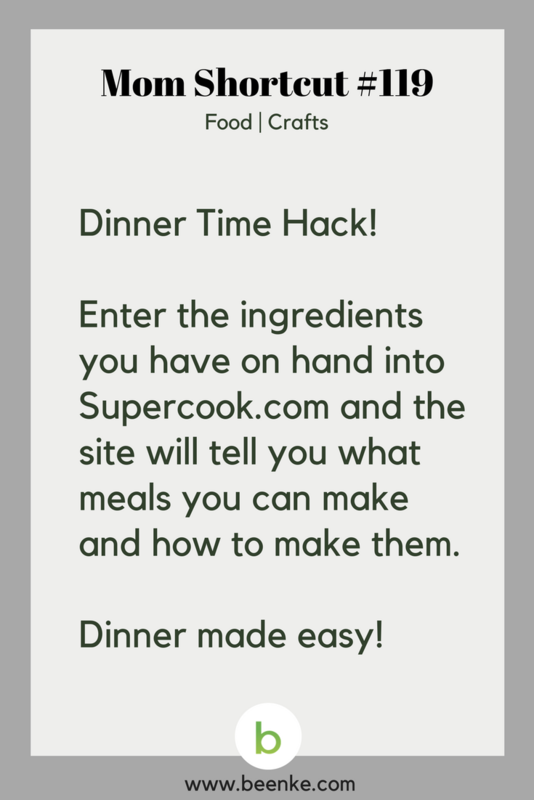 #105 – Save time in the kitchen with the double recipe trick. 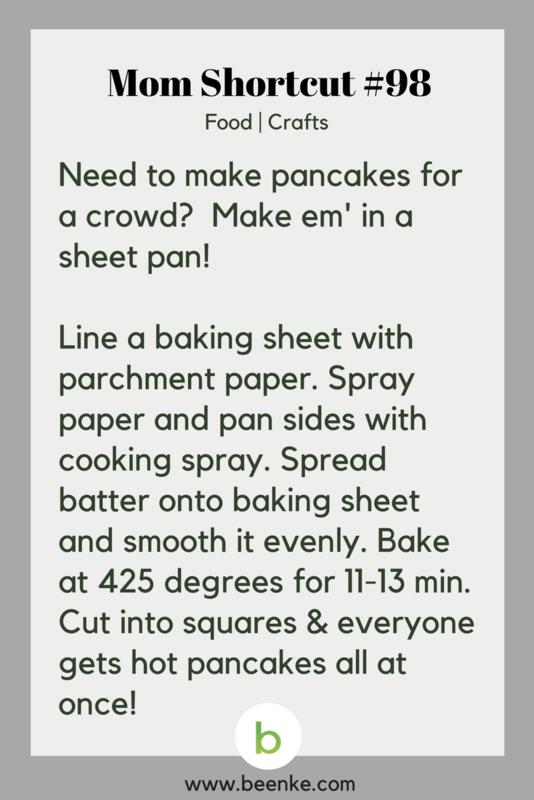 #98 – Breakfast hack: Make pancakes for your whole crew! 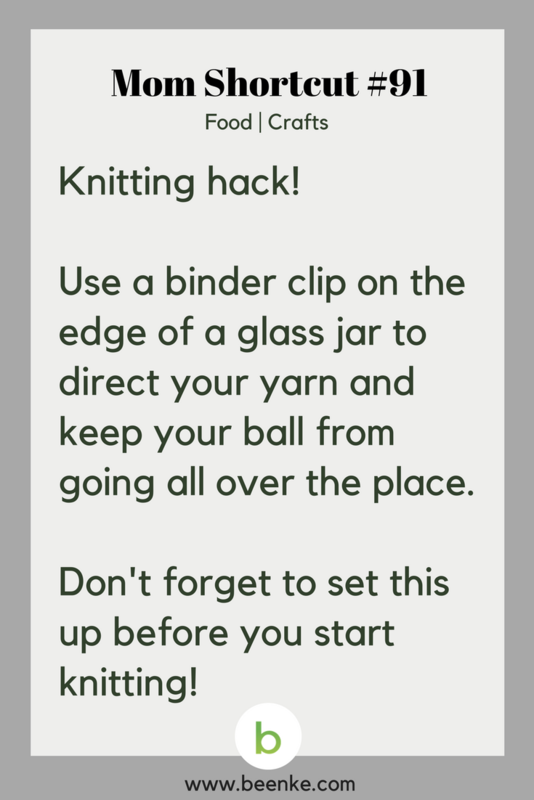 #91 – Hey knitters…try the binder clip trick! 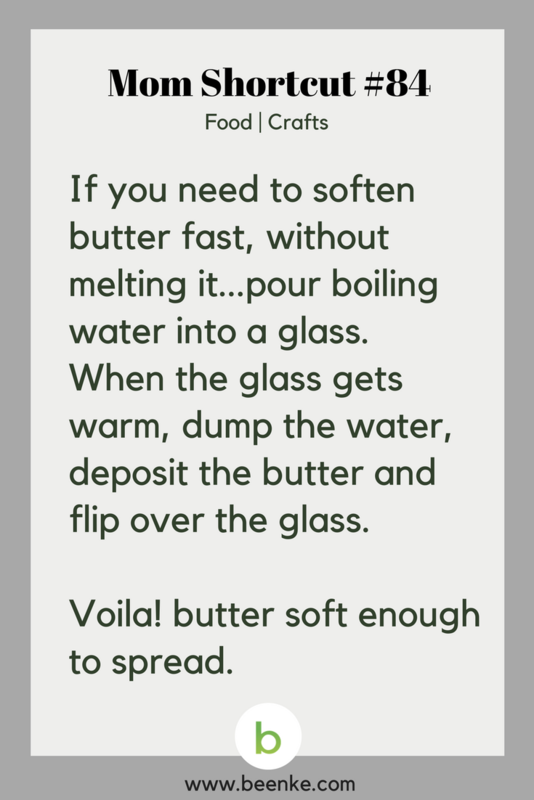 #84 – The trick to softening butter without melting it. 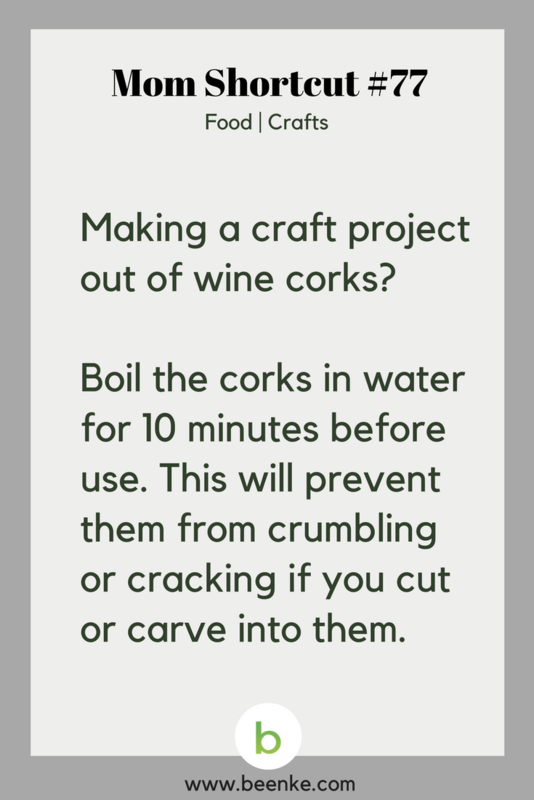 #77 – More home hacks: Boil those wine corks before starting your next craft project. 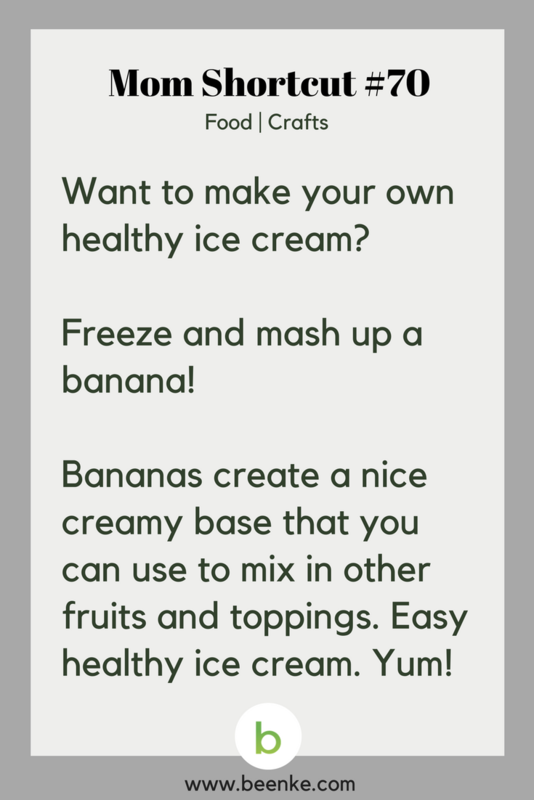 #70 – Make your own healthy banana “ice cream”! 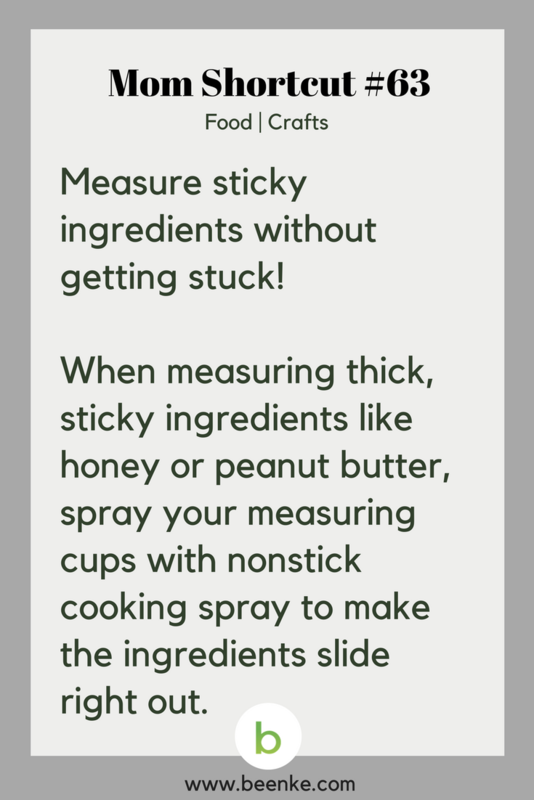 #63 – Measure sticky ingredients without getting stuck! 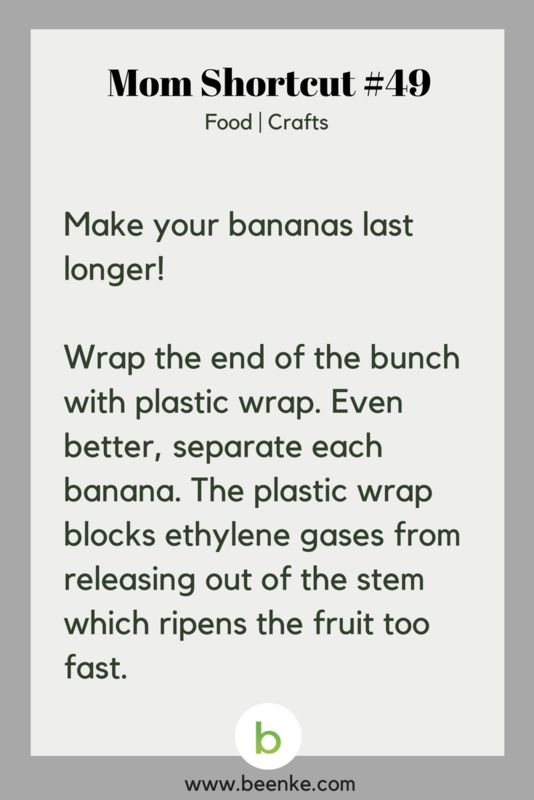 #49 – Keep your bananas from turning brown. 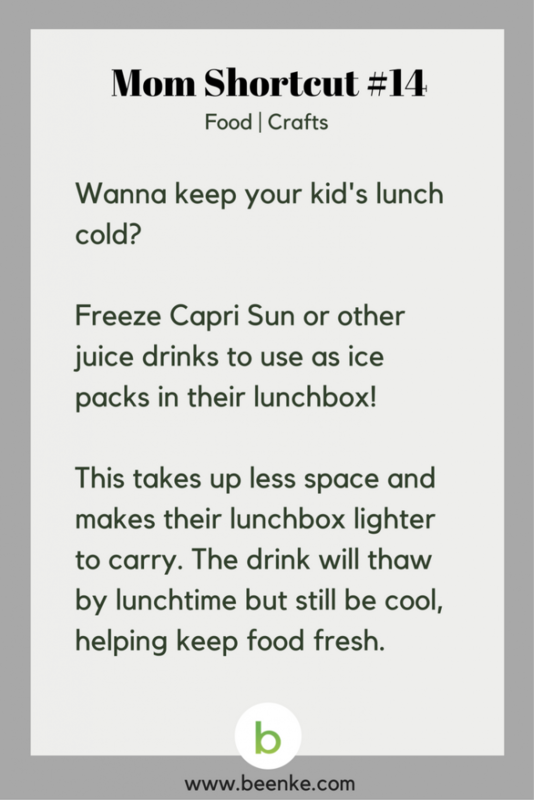 #42 – How your kids can have a hot homemade lunch at school (that they’ll actually like)! 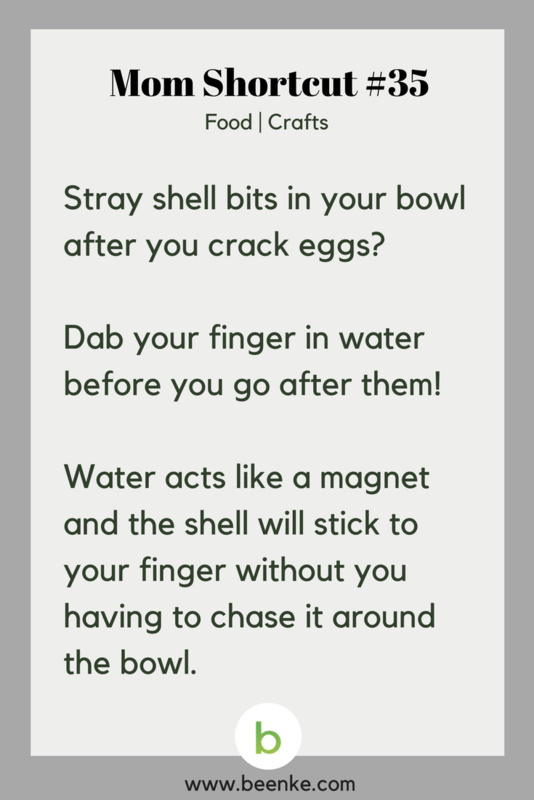 #35 – Don’t you hate it when you crack eggs and the shell bits get in the bowl? #28 – Trying to slim down? 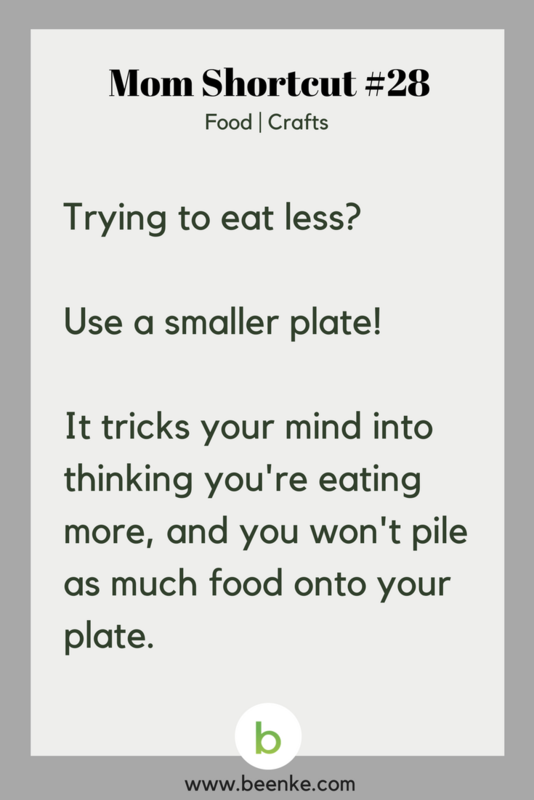 Try the small plate trick! 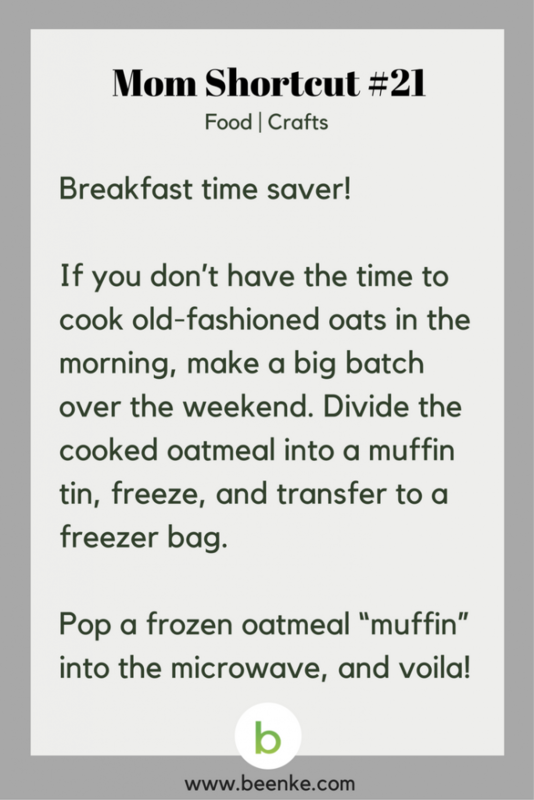 #21 – A great breakfast time saver! Food Hacks #7 – Want something sweet for your kids that’s totally natural? Dry strawberries in the oven! 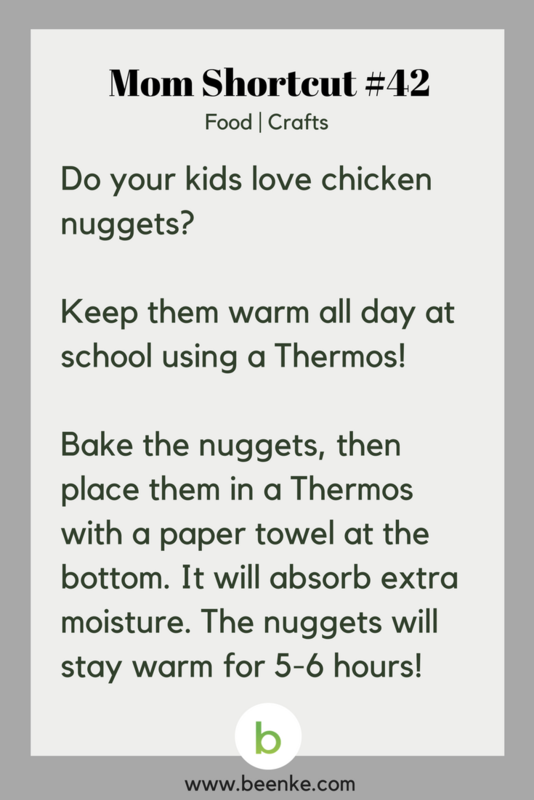 Place them on a cookie sheet in the oven for 3 hours at 210 degrees. It tastes just like candy, but it’s healthy and natural. 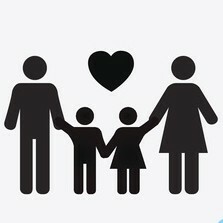 Remember to visit us DAILY for a dose of inspiration to simplify your family life. 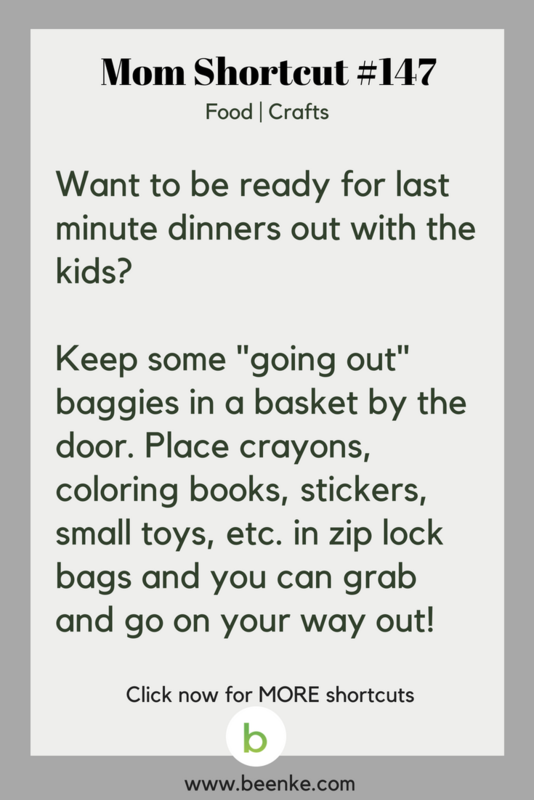 Click for more great MOM SHORTCUTS!! Join Beenke NOW and receive Mom’s Ultimate Toolkit!! 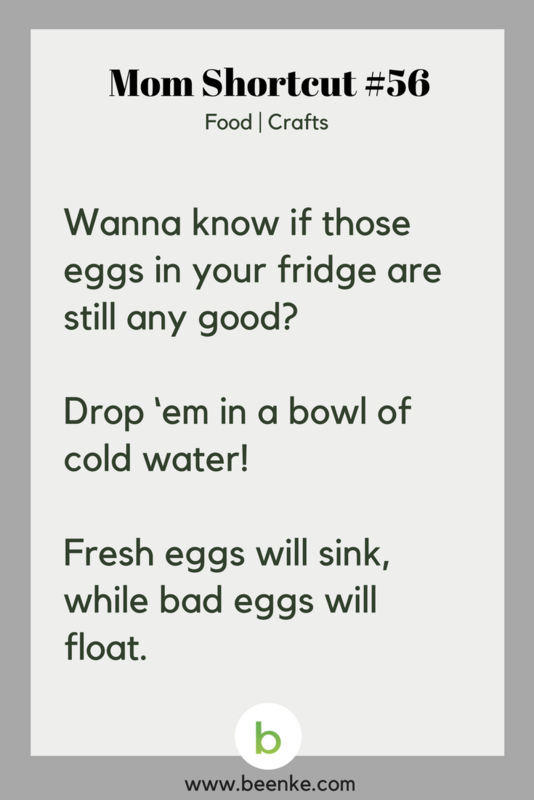 SHARE these food and home hacks with your friends on Facebook and Pinterest by clicking the buttons below. 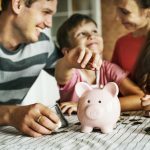 Travel And Money Saving Hacks For The Whole Family!